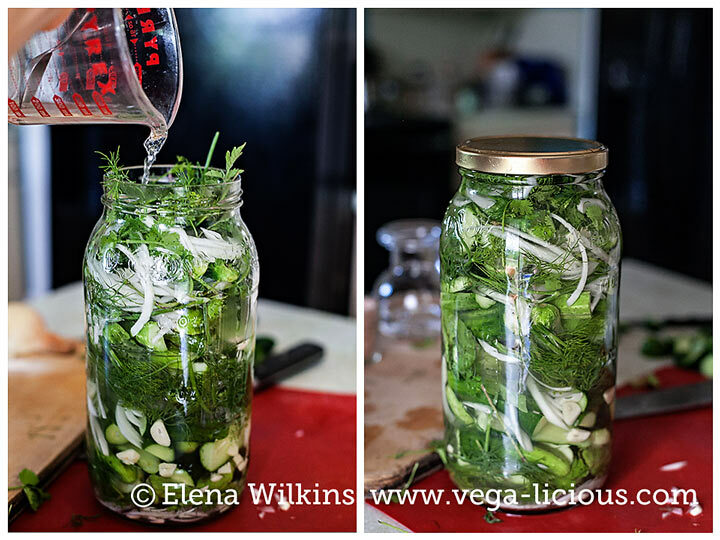 I am not much for pickling or preserving too many things. I prefer my produce as fresh as possible. That’s the reason I choose to freeze a lot of it, when preserving for winter. However, there are a few things that have a special place in my heart, and that are dear to my taste buds, that I simply love pickled. Cucumbers are one of them. Not only are they perfect in recipes like a plant based potato salad and veggie burgers, but they could taste divine by themselves…but only if they are made right, which is hard to find on our modern day grocery store shelves. Most of store sold pickles have not only preservatives, but also added sugar. And you and I both know that sugar should be kept for those once-a-year occasions, and not be found in our pickles. 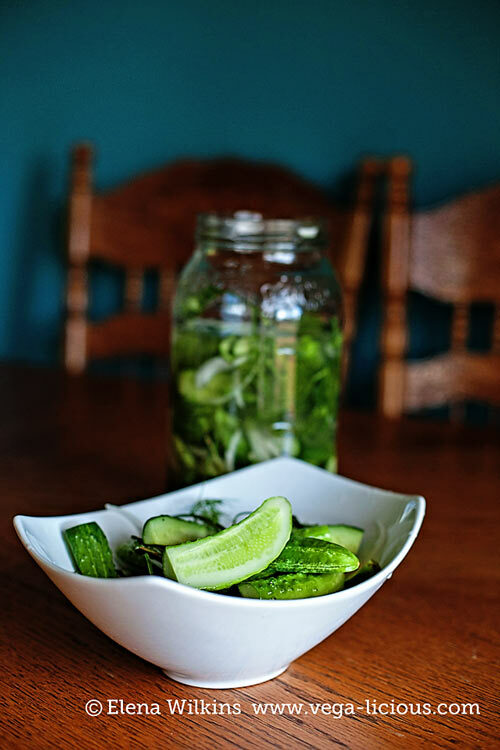 With cucumber season in full force I love making “same day pickles.” They require little work, ready to be enjoyed in only a few hours, store well refrigerated and don’t require a science degree or special equipment to make. Try this recipe. Tell me what you think. And, if you love it (I am sure that you will), make sure to share it with your friends and family. Chef’s Note: The recipe is adjustable to any amount of pickles you want to prep. I had 20 small size cucumbers and a 70 oz jar to stuff them in. 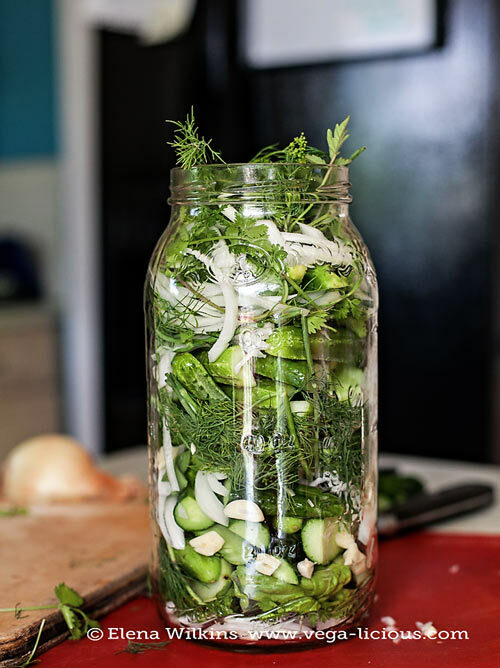 If you don’t have a large pickling jar, you can use smaller ones, or use a ceramic container with a lid. 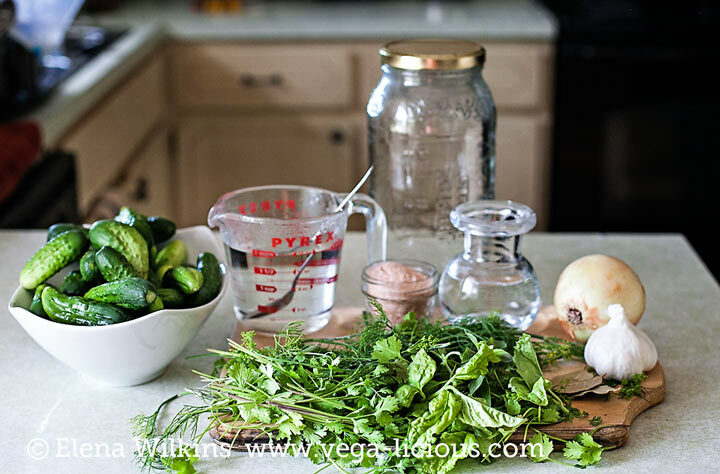 The herbs can be easily substituted and interchanged, which means that you can make your “same day pickles” any flavor you want. Note 2: This recipe is not for preserving cucumbers for the winter. If you make it, the pickles will need to be consumed the same week. any herb you love–I used: basil, lemon basil, cilantro and bay leaves. The amount of each is totally up to you. You can see how much I used in the image below. You can skip this step if you are certain that your cucumbers are not bitter on the end, but if they are, cut off the bottom part of cucumbers. 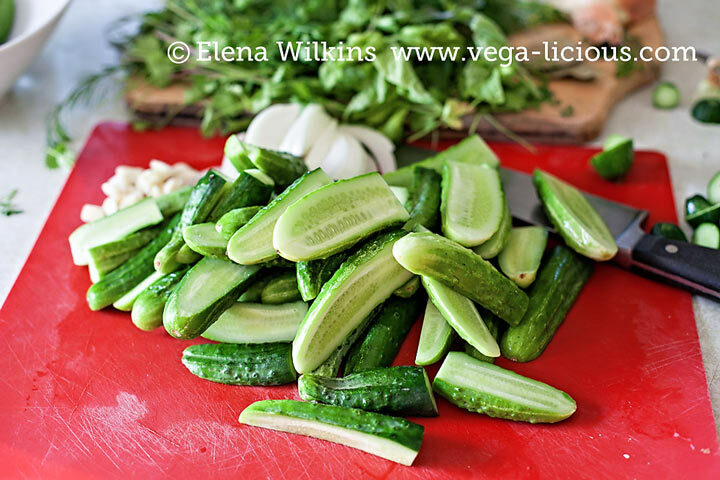 Slice cucumbers into halves or quarters–doing so helps them marinate faster. You do not have to chop your herbs! 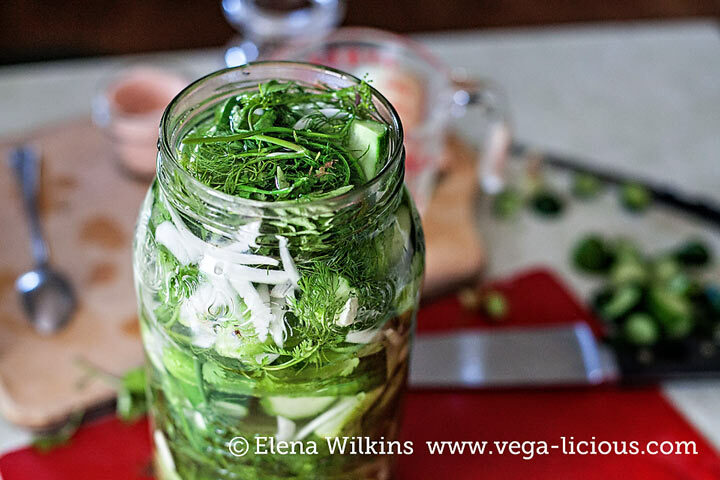 Take herbs, garlic and onions, and layer them in the pickling jar in rotation with cucumbers. In a separate container combine hot water, vinegar and salt. Stir well, so that the salt is dissolved. 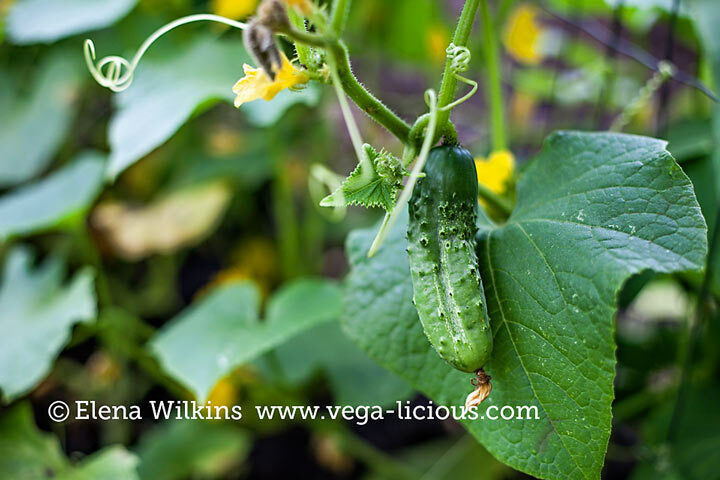 Pour this solution over cucumbers, ensuring that it covers them completely. Cover with a lid and set aside to cool. Pickles will be ready in about 8 hours to enjoy. Refrigerate them, until you’ve crunched on the very last bite. 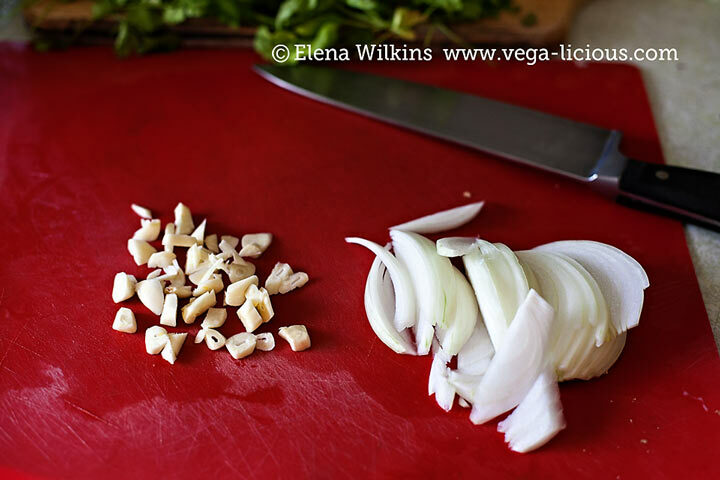 You can use the garlic and the onion in soups, salads or even in a sandwich. Don’t let them go to waste. Herbs can be re-used in soup. 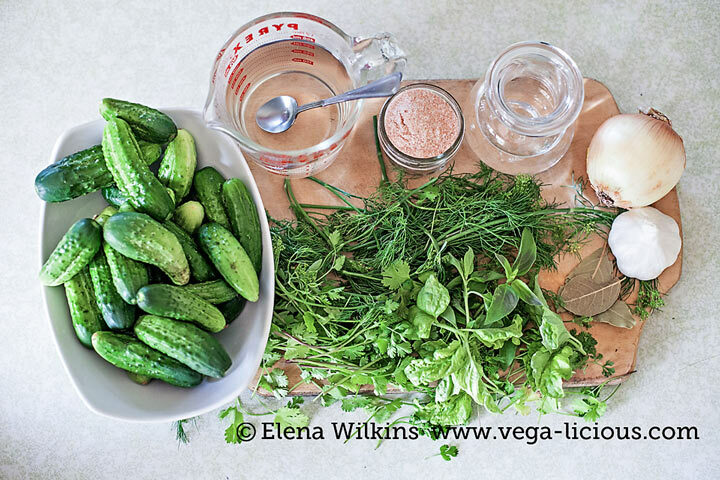 Long live the cucumber–the source of my culinary joy. 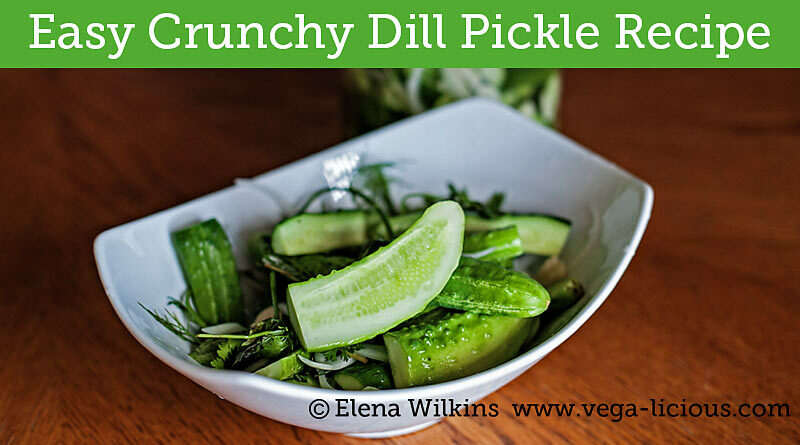 Let me know how you love this simple dill pickle recipe–drop a comment, or even add an image in the comment section. And make sure to share the recipe on your social networks.